The deal was a big one, with nine players switching teams between the Cubs and the Rangers. It was also a deal the Cubs received much flak for, sending Jamie Moyer and Rafeal Palmeiro to the Rangers. "I don`t hear nothing about that trade now," Cubs manager Don Zimmer told The Chicago Tribune after Paul Kilgus and Mitch Williams, two players the Cubs received back, pitched well in an April 1989 game. "For four months, that's all I heard about. Now I don't hear nothing." Another player in that deal, Luis Benitez, Zimmer and others never did hear much about. That's because Benitez lasted parts of just two seasons with the Cubs organization, three as a pro, never making it higher than single-A. 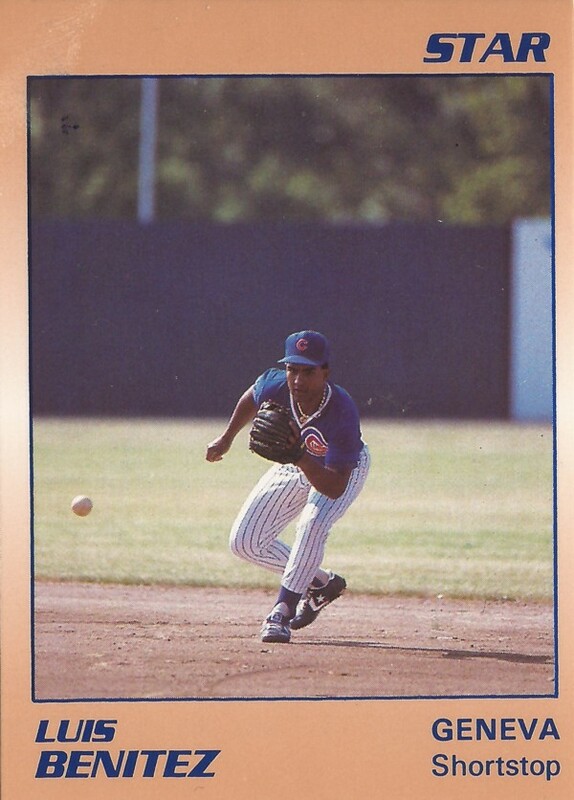 Benitez' pro career began in 1988, signed by the Rangers as an undrafted free agent out of his native Puerto Rico. He played his first season in the rookie Gulf Coast League, the infielder getting into 63 games, hitting .286. With the Cubs, though, Benitez never found his bat. 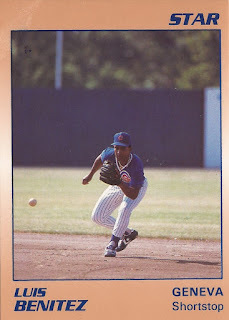 In 93 games in 1989, spent between short-season Geneva and single-A Charleston, Benitez' average stumbled to just .177. He hit .183 in 58 games at Geneva and .167 in 35 games at Charleston. Benitez returned to Geneva for 1990, but it was a brief return. He got into just two contests, six at bats. He also got only one hit. It was the final hit of his professional career.